SET-listed Italian-Thai Development Plc (ITD) says it is ready to restart construction of the long-delayed Dawei deep-sea port and special economic zone over the next few months if the Thai and Myanmar governments approve continuation of the megaproject at a joint meeting on Feb 10. 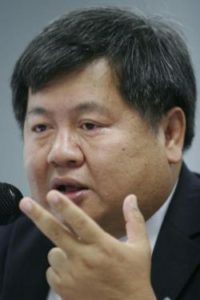 Premchai Karnasuta, president of ITD, said the company is waiting for a decision from the two governments on whether they really want to continue the project, including a 4.5-billion-baht loan Thailand would offer Myanmar to finance road construction. ITD signed an agreement in August last year to start developing the first phase of the megaproject, with an initial investment budget of US$1.7 billion. Some $500 million will go towards a 450-megawatt gas-fired power plant. ITD also plans to invest in an additional coal-fired power plant once the Dawei industrial zone is fully developed. Another $500 million will be spent on a petrochemical plant and oil refinery to serve demand at Dawei. The Thai government in 2015 agreed to offer a 4.5-billion-baht loan to Myanmar to finance the construction of a 132-kilometre road from the Dawei deep-sea port to Ban Phu Nam Ron in Kanchanaburi. The Thai cabinet already endorsed the loan plan. But the road construction was delayed as the new Myanmar government asked to re-study the loan plans. Mr Premchai said the company has already invested $200 million in the initial phase of the project, which includes roads in the industrial estate, a small port, water facilities, electricity, a township and the cost for land expropriation for road construction from the Thai border to the Dawei project. Transport Minister Arkhom Termpittayapaisith is scheduled to head the Thai delegation meeting the Myanmar government on Friday as both sides aim to update the Dawei development project. Mr Arkhom is expected to ask whether the new Myanmar government still needs Thailand’s lending facility.